Ask any artist you know, and they will all tell you the same thing; animation creation can be an expensive hobby! Equipment such as programs, computers, and drawing tablets can cost a fortune. And yet, animations are a powerful marketing tool and can be used for advertisements, presentations, online Youtube videos and TV to grab your audience’s attention, communicate your messages and create a lasting impression. The good news is that some of this software is free to use! We’ve saved you the hassle of hunting these down and have pooled together some of the best free animation softwares on the market. Choosing the right animation software to suit your project needs can be a tricky process. It’s important to note that there are two distinctive types of animation softwares in the market, 2D and 3D. The type of software you choose will often depend on your animation skill level, whether you are beginner or advanced user as well as your specific animation needs. If you’re just starting out, it may be best to familiarise yourself with 2D animation as it can be an easier software to run. Working in 2D will also help you learn concepts such as storyboarding, which can be a great foundation for 3D animation. Listed below are some of the best free animation software programs we could find, available now to use. Pencil is a free and open-source vector drawing program for Mac OS X, Windows, and Linux that allows you to produce your own digital comics. The program is based on traditionally hand-drawn animation techniques that anyone can experiment with. 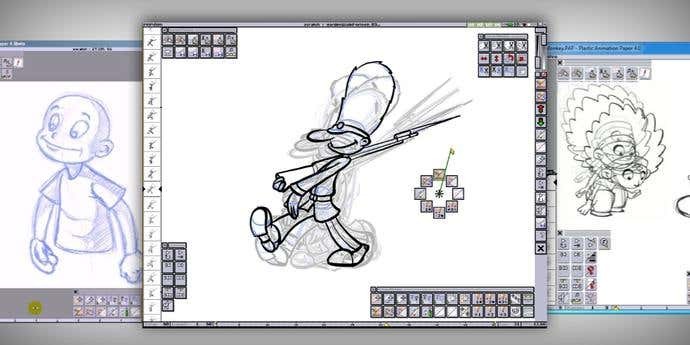 Pencil is perfect for beginners who are looking to learn basic cartoon animation principles. The key function provided in Pencil is the timeline feature, which allows you to add four different types of layers: sound, bitmap images, camera and vector images. The layers are arranged on top of the other by setting keyframes. For example, your characters can be sketched using your pencil tool in bitmap format and then inked out by adding a vector layer and using the pen and fill tool. The interface is much more straightforward than that of Adobe Flash and provides a clean and clear platform. Good quality drawings can be produced using a graphics tablet. The program also exports to a .FLV file - a great bonus! 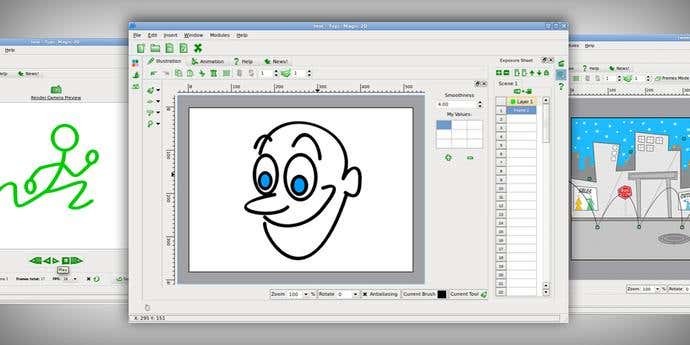 Tupi is a free 2D animation software that is developed by an open community. This open-source program combines the traditional frame-by-frame animation technique with tweening to produce animation. This software is ideal for amateurs looking to create 2D animation and can even be used by children aged 8 and over. Tupi’s features include basic illustration tools (such as Pencil, Ellipse and Polyline), an exposure sheet, tweening tools (such as scale, position, rotation, opacity and color), a preview player and a video exportation module (AVI, MOV and MPEG). The software also features an objects library (JPG, PNG, SVG, GIF) and a Stopmotion Module. 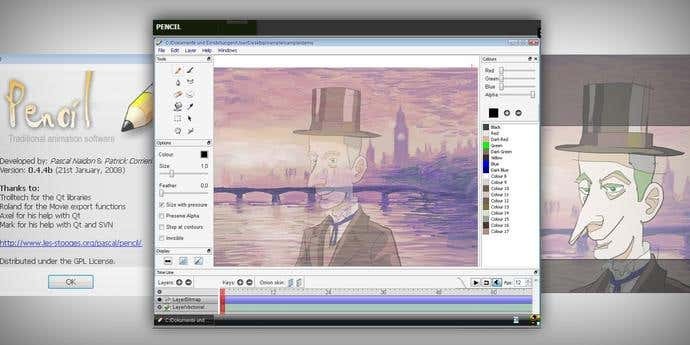 This program is easy to use for amateur or beginner animators and can be run on Linux, Mac OS X and Windows operating systems. 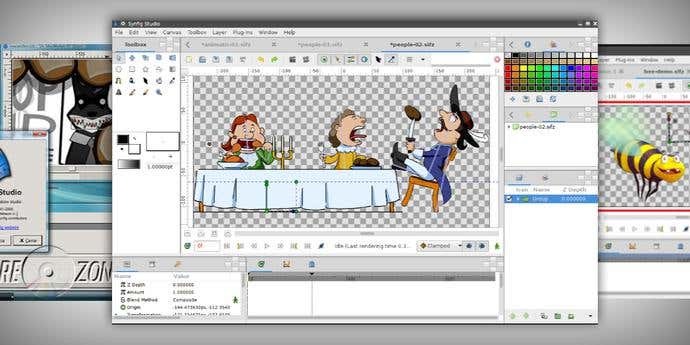 Synfig studios is a 2D animation software that supports a multitude of layers, allowing you to apply gradients, filters, geometric, distortions, fractal and transformation to your animations. The program includes a full - featured bone system that allows you to produce cut out animations with bitmap images or vector artwork. A great included feature is the Synfig Studio’s sounds support that allows you to sync your animations with soundtrack using a Sound layer. If you’re a Linux user, you will also receive full - featured audio editors via JACK integration. The software is also open-source and cross platform, so that it can run on Windows, Mac, and Linux. Plastic Animation Paper is a 2D animation software characterised by fast responsiveness for drawing, flipping and doing just about anything you need to! The software is built on high speed and high resolution input of your tablet so that you can draw quality lines. The program features small to large format frames, a light table, realtime smooth rotation and zooming, cutouts (co you can easily reposition, scale and rotate), paint, play scenes in sequences and import videos or frame stacks. Plastic Animation Paper also features a customizable tool bar and a quick select marking menu so that you can easily apply your favourite functions. The software is currently available to Windows PC and MAC OS X users and has plans to be available for Linux, Android and IPad Pro (with pencil). Creating animated videos and presentations has never been easier with PowToon. With over three million registered users, Powtoon has been used by companies worldwide such as Coca Cola, Costco, Ebay, Pfizer and Starbucks. Powtoon is a web based animation software, that allows you to create presentations by using pre-created objects, imported images, voice overs and music. Powtoon is the tool to use when you can’t afford to be ignored, by engaging your audience with animated explanatory videos. Anyone can use Powtoon, even if you don’t know the difference between a pixel and a proxy server! This user friendly animation software is ideal for creating short videos and provides them with a professional look and feel. The program is also available on the Google Chrome store and as an application on Edmodo.com. Creating 3D animations can be a great way to bring your ideas to life and create quality and customizable animations. In comparison to 2D or traditional animation, 3D animation has much more depth and appears more realistic. Are you interested in 3D animation? We’ve aimed to help! 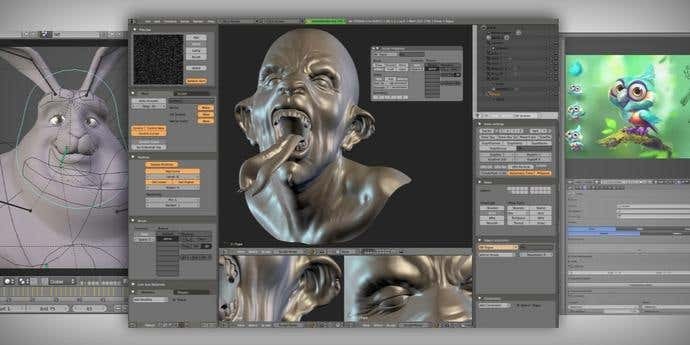 Below are a few of the best free animation programs if you’re looking for a user friendly and free 3D software to get you started! Blender is an open source and free 3D creation suite that supports the 3D pipeline for functions such as modeling, simulation, rendering, rigging, compositing, animation and motion tracking. The program also allows you to edit your videos and even create games. For animators who want complete and total control of what they are making, Blender is the software for you. The program features a built-in, unbiased path tracer engine, offering ultra realistic rendering, modeling tools to create, transform and edit your models, VFX, animation and rigging. The software has come a long way since first launching and the makers are still updating it regularly. The program can be run on Windows, OS X and Linux. Used in most large studios, Autodesk Maya is the industry standard 3D software made specifically for animators. With Autodesk Maya, you can learn to animate with the industry leader in visual effects and animation with no experience needed. Navigating Maya is easy with a step by step animation course, helping you learn the basics. 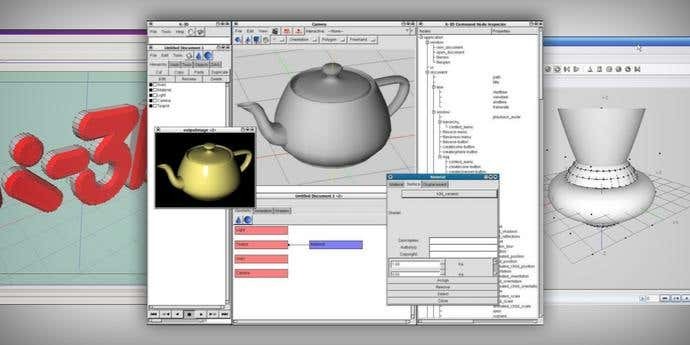 Maya is used to create interactive 3D applications such as animated film, video games, TV series and visual effects. Maya is free for students and educators, but don’t worry, if you don’t fall into these categories Maya also offers a free trial. The program can be run on Windows, OS X, RHEL and Fedora. K-3D is a free 3D animation and modelling software, featuring a plugin oriented procedural engine for its content. The program supports polygonal modelling and features basic tools for patches, animation, NURVS and curves. 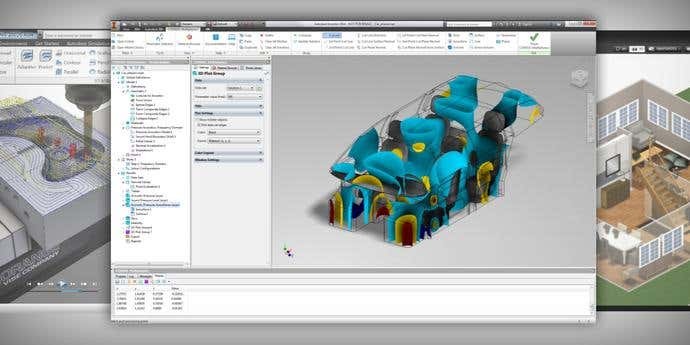 K-3D also features procedures and parametric work flows and properties can be altered interactively. The animation software can be run on Windows, OS X, Linux and FreeBSD. Are you looking to create an animation? Creating animations can be a great way to bring your ideas and designs to life, whether it be an animated advertisement for Facebook or twitter, character animation, animated infographics, 2D or 3D animation. If you’re looking for an affordable, reliable and innovative animator engaging a freelance animation specialist is a brilliant way to create dramatic results for your next campaign. Whether you’re using an animation for fundraising for a startup, launching a product, promoting a service or to simply promote your brand, your animation will sell, tell, explain and train in a dramatic way. So what are you waiting for? Simply post a project on Freelancer and you'll receive bids from our talented experts in just seconds! Vuoi portare a termine del lavoro? Milioni di piccole imprese utilizzano Freelancer per trasformare le loro idee in realtà. Devi portare a termine del lavoro?